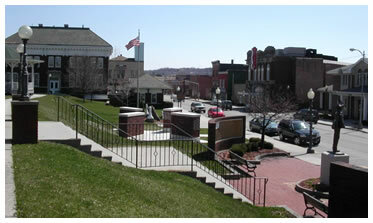 Miner's Park, a beautiful site to visit in central Windber, is an ECHF restoration project. 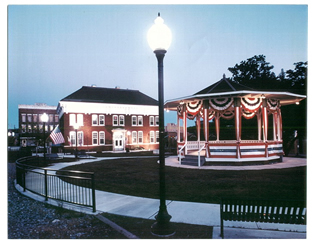 The park is home to several historic buildings, monuments and memorials celebrating Windber heritage and culture. 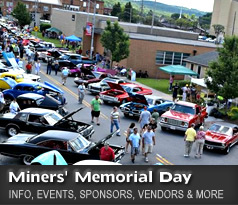 It also serves as the primary location for the annual Miners' Memorial Day Festival that is held each June. The buildings include the Windber Coal Heritage Center developed by the ECHF, a newly-refurbished gazebo that serves as both a music and event venue, as well as the original Windber train station and library buildings. The park also serves as home to the famous miner statue by Lawrence Whitaker, memorials to Windber's war casualties and the victims of the 1977 Johnstown flood, and the ECHF-developed Miners' Wall dedicated to local miners whose work and sacrifice is recognized. You can view the Wall names in the Miners' Park Photo Gallery here. Three historical monuments are located within the park along Graham Avenue. One is dedicated to the town of Windber itself. A second commemorates the famous coal miners strike of 1922-23. The third commemorates Windber as the birthplace of Alan Freed, the nation's original rock and roll DJ. The most recent addition to the park is the Windber Wall of Fame, where local residents who have made significant contributions to the community have their names engraved on bricks on four walls laid out in an X-shape. The history of Windber's Miners' Park is one of continual improvement over time. 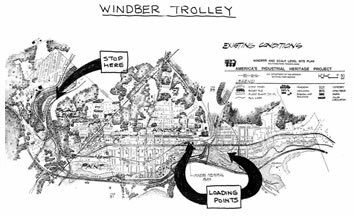 In October 1991, the ECHF received a proposal for a Windber Trolley from Vintage Electric Streetcar Company. The plan was for the development of a trolley line between the Miner's Park and Mine 40, allowing tourists to move between the two project sites easily while enjoying the ambiance of the type of trolley that once serviced the mining community. Extensive negotiations have yet to resolve issues with railroad right-of-ways and Mine 40 development plans. While the prospect of the trolley line is not completely dead, it appears unlikely to become an approved project until those issues are put to rest. In December 1991, the Windber Municipal Authority turned over responsibility and funding for the Miner’s Statue by Lawrence Whitaker to the ECHF. They had received a $12.5k Early Implementation Project state Heritage Park Program grant. Miner’s Park design development was completed in 1992. Construction documents were completed in the following year. Preparation for Park projects included a comprehensive archeological field investigation. 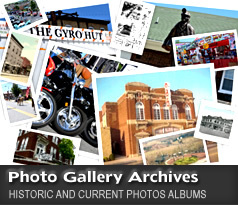 A sewage plan for for the park and the proposed coal heritage museum was made available for public comment was approved by the PA Dept of Environmental Resources on September 24, 1993. The ECHF Board of Directors voted to accept the design specs for Miner’s Park on October 26, 1993. On May 4, 1995, the ECHF made a 10-year cooperative agreement with Windber Borough and the Municipal Authority regarding operation and maintenance of the Park. In 1995, the ECHF explored the possibility of relocating the refurbished town clock to Miner's Park, but eventually decided to erect a new clock tower next to the GTE building on Graham Avenue. In June 1998, the ECHF began an effort to get PA historical signs/markers for Windber. 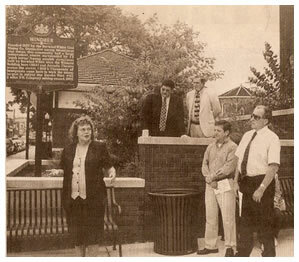 Those efforts were rewarded in September 1999, when a Pennsylvania Heritage marker was dedicated in the park near the Windber Coal Heritage Center, across from the Arcadia. It reads: "Windber - Founded in 1897 by the Berwind-White Coal Mining Co. Distinctive among bituminous coal towns, this community had a large independent center surrounded by 13 'Patch Towns.' 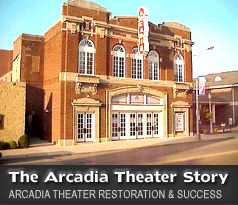 Among notable structures built by Berwind-White were the Wilmore building here (1924) and the Arcadia Theater (1919). Thousands of immigrants came here to work the mines, largest in output was Eureka Mine No. 40, 2 miles NW. Company Mining ceased, 1962." "I do hereby proclaim the Saturday before Father's Day each year, be known as "Miners' Memorial Day", in honor of all miners who toiled in the coal mines of our country. Our great nation was built on the backs of the men and children who worked in the coal mines. From the steam engines of the railroads, to the glow of the steel mills, "King Coal" was the foundation of the Industrial Revolution. But, if Coal was the King, then the miners were its servants. The unsafe conditions, child labor, low wages, comany houses and company stores were an accepted way of life for our ancestors for many years. Through blood, sweat and tears, these miners fought for change and won. Unions, decent wages, benefits and better working conditions are the legacy left to us by these brave men. The basic principles of hard work, family values and community spirit, set forth by the miners, are unyielding and are as strong today as they were a generation ago. Let us honor the memory of all of the miners whose sacrifices are a part of the heritage of this great nation."